In what could be music to the ears of many parents, teenagers who regularly play online games are more likely to get better school scores, an Australian study suggests. Research released from RMIT University has found gaming helps boost results in maths, science and reading. But researchers said scrolling through Facebook, Instagram or chat sites had the reverse effect, by hindering academic success in high school. 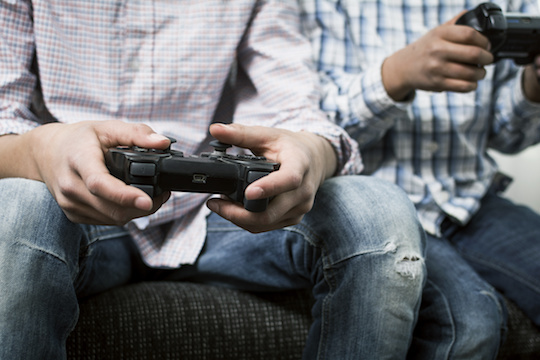 Associate Professor Alberto Posso from RMIT’s School of Economics, Finance and Marketing said online gaming appeared to be a more useful way to spend time online for teenagers, compared with social media. “Kids that are spending more time on online gaming — for example in a maths test — they’re likely to score 17 points above the average, which is about 4 per cent above the average [test score],” he said. Associate Professor Posso used data from the Program for International Student Assessment (PISA) to analyse the online habits of 12,000 Australian 15 year olds, which he then compared to their academic results. He said the PISA data revealed that online gaming helped young people develop analytical and problem-solving skills. “Sometimes [players] have to understand some of the principals of chemistry even, so they really have to understand science,” he said.